Much has been written accurately demonstrating the authoritarian tendencies of Donald Trump, but a consequence of our two-party system is that far too many people ignore a similar lack of respect for democracy by leaders of the Democratic Party. 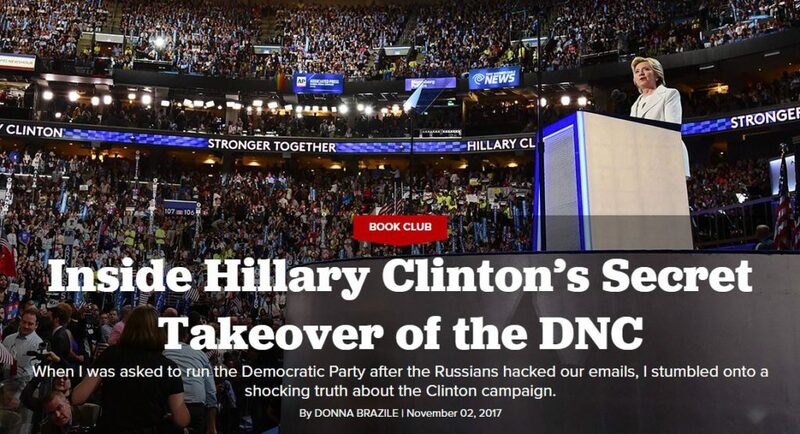 Donna Brazile showed how the Democratic Party rigged the nomination for Hillary Clinton in a book last fall. In recent statements she inadvertently adds additional evidence of the lack of respect for democracy among the Democratic leadership. The Democratic Party recently voted to reduce the power of superdelegates by not allowing them to vote on the first ballot as long as the nomination was contested. The real benefit of this is that it it will probably eliminate the tendency of the news media to include superdelegates in their counts early in the nomination process. In 2016 this helped Clinton tremendously, when added to the other mechanisms used by the party to essentially rig the nomination for her, by having counts showing her substantially ahead of Sanders. This played into her strategy of making her nomination appear to be inevitable. Superdelegates will still be able to vote on other matters, such as convention rules, enabling them to play a major role should there be a contested convention even prior to a hypothetical second ballot. Donna Brazile reminded us that the Democratic Party leadership has many other ways of getting the results they want when she tweeted: “Democrats voted to removed automatic delegates from the first round of voting. But we still have seats at the table. We are still in the room and very much capable of setting the menu.” It is rather shocking that she had no reluctance to admit this, countering the desires of Tom Perez to at least give the illusion that the Democratic Party’s nomination process is fair and honest. Of course Brazile is correct, with the party using methods as such front-loading southern states, along with superdelegates, to increase the chances that a more moderate, ideally southern, candidate would be chosen. The party greatly increased their actions to hand Clinton the nomination in 2016 with tactics including limiting debates, the deal described in Brazile’s book to essentially give Clinton control of the party, changing fund raising rules during the campaign to help Clinton, making it harder for Sanders supporters to vote in some states, and Harry Reid’s games in Nevada. The party establishment will continue to be able to limit democracy by limiting our choices. According to the new rules, we superdelegates won’t be able to vote on the first ballot at the convention. Or on any ballot, unless there’s a tie or some other sort of deadlock in the process. So, we superdelegates are now what? Merely the mechanism you default to in case of a tie? Great. I’ve fought for the Democratic Party my entire life, and now I’m one notch above a coin toss. She argued that the “party faithful” deserve their power to override the decisions of elected delegates for the work they have put into the party, failing to understand that in a democracy power should go to those who receive the votes. She claimed that, “the superdelegates aren’t the infamous ‘smoke-filled room’ full of ‘old white men’ deciding the fate of everybody else.” Having greater racial and gender diversity does not change the fact that having decisions made by the superdelegates are just as undemocratic as the smoke-filled rooms. She argues that “I earned my place at this table,” but in a democracy the table should be made up of those who have been elected to be there. It would be different if we had a multi-party democracy, or if we were talking about a minor party. I would not mind if those who have built the Libertarian Party limited their nominees to those who have a roughly libertarian philosophy as that would not limit our overall choices. However, in the current duopoly, the system is rigged so that the either the Democratic or Republican Party nominee will win virtually all elections. Supporters of the major parties certainly make that point clear when they insist that this is the case and try to guilt us into voting for their candidates. They don’t even allow other parties to participate in debates, with participation controlled by the Commission on Presidential Debates, controlled by the Democratic and Republican Parties. As a result, the two-party duopoly limits views which are considered. The parties essentially differ on reproductive rights, some differences in taxation rates, and on how much is spent on social programs. The elections rarely offer a choice on matters such as continuing our state of perpetual warfare, mass surveillance, or the drug war and mass incarceration. The Democratic Party remains stuck in the past, seeing current elections as filtered by the 1972 loss by George McGovern. For Democrats to say that they should not nominate a candidate of the left because McGovern lost badly back in 1972 would be like Republicans saying they should not nominate a conservative because Barry Goldwater lost badly in 1964. A better parallel for Democrats to think about would be fifty years ago when the party leadership rigged the nomination for Hubert Humphrey, instead of allowing an anti-war candidate supported by the party’s base to be the nominee. 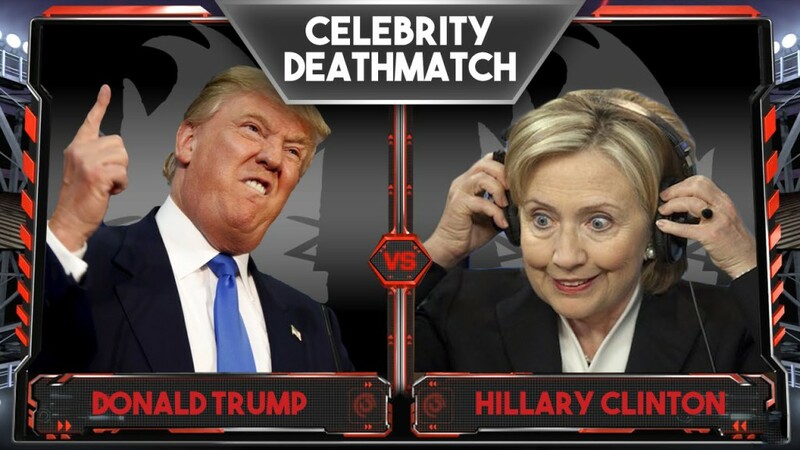 This resulted in the Democrats losing to Richard Nixon, comparable to how the Democratic Party lost to Donald Trump after the party leadership rigged the nomination for pro-war candidate Hillary Clinton in 2016. Our most realistic chance of having a real choice in elections is to have the ability for candidates outside of the system to have a fair shot at the major party nominations. It is not fair for Democrats to both support a system which only allows those they consider to be true Democrats to run, and to simultaneously support a system which intentionally makes it extraordinarily difficult for outsider candidates to win outside of the two-party system. The reality is that the rules changes by the Democratic Party were far too limited. 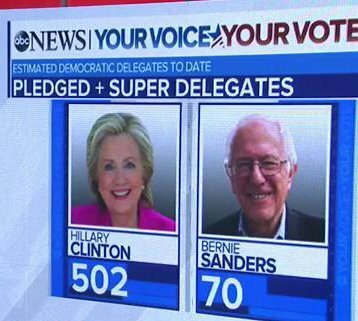 Superdelegates should be entirely abolished. Our entire electoral system also needs to be overhauled, included rank-choice voting and proportional representation. These are necessary so that people like Donna Brazile can no longer set the entire menu of which people we can vote for and which issues are considered during elections. The Democratic National Committee is talking about reforms, but it is not clear how real these reforms will be, and whether the party establishment will really allow them. In response to loss of support after the Democratic Party rigged its 2016 nomination for Hillary Clinton, a candidate so terrible that she could not even beat Donald Trump, a unity commission made recommendations for reform. Their recommendations were far too little, such as reducing but not eliminating the role of superdelegates. During a meeting last week, Democrats made some mixed recommendations, with no final decisions made. The biggest problem with superdelegates in recent years has not been their actual votes but the manner in which they influence the overall race. Inevitability was a major component of Hillary Clinton’s strategy in 2016, which was strongly promoted by news media delegate counts which showed her with a huge lead from the start of the primaries by including the superdelegates. The most interesting proposal, supported by Tom Perez, would prohibit superdelegates from voting until a second ballot. As the nomination has been settled on the first ballot in recent years, this could be a back-door method of eliminating superdelegates. Many Democratic leaders are upset about this proposal, seeing it as a loss of power. Of course, if they could get beyond their sense of entitlement, they could show more respect for democracy and run to be regular delegates as others do. Mulholland, a DNC member and longtime key player in California Democratic politics, sent an email Friday to other DNC members from the Golden State that implied Russian President Vladimir Putin might be behind the reform effort. The basis for his claim? An activist from West Virginia promoting the changes, who he had seen at two national party gatherings, admitted to him that she was a Green Party member and had voted for its nominee, Jill Stein, in the 2016 election. Contacted by HuffPost on Sunday, Mulholland conceded he had no evidence the woman, who he did not name, was bankrolled by Putin. As we have seen far too often since the 2016 election, too many establishment Democrats, anything which limits their own power to subvert democracy is a Russian plot. For those who claim that superdelegates are needed in order to prevent a fiasco such as the nomination of another Donald Trump, keep in mind that in 2016 the Democratic superdelegates overwhelmingly supported a candidate who was both unelectable and as bad as Donald Trump. There are potential problems with this proposal. Superdelegates would still be able to vote on matters other than the nomination on the first ballot. This could give them a disproportional influence on matters such as convention rules, including seating of delegates, which could influence the winner. The party establishment might be tempted to circumvent this with rules which would increase the chances of a vote going to the second ballot, such as returning to requiring a super-majority to win the nomination. They might also be dissuaded from doing so due to the tendency in the past for candidates who received the nomination following contested conventions to be less likely to win the general election. Eliminating superdelegates would not solve all of the problems. Superdelegates are just one of many ways in which the Democratic Party rigs who can win the nomination. I would also like to see an end to front loading Southern states to help more conservative candidates. We would also need an end to many of the other actions seen in 2015-6 including restricting debates, giving one candidate effective control of the Party as they did with Clinton, games like Harry Reid played in Nevada, changing fund raising rules to help Clinton, and restricting who can vote or making it hard to register to help the establishment candidate. Another proposal of concern is one that requires that candidates for the Democratic presidential nomination must be registered Democrats and must “run and serve” as Democrats. Bernie Sanders reportedly would still be allowed to run due to rules in Vermont which treat him as a Democrat on the state and federal level. Even if this rule does not interfere with Bernie Sanders running, it does narrow the range of potential candidates. While the election of Donald Trump might have soured any desire for a candidate outside of politics, the limited support for true liberal and progressive ideas in the current Democratic Party shows a need to allow new blood. The Rules and Bylaws Committee has until June 30 to decide upon these recommendations, and a decision is to be made at the next DNC meeting in August. The nomination processes of both major political parties failed in 2016, with each major political party nominating a candidate who was unfit to be president. The situation was even more outrageous in the Democratic Party which has long standing rules to supposedly prevent the nomination of an unelectable candidate. Instead of utilizing the rules to prevent an unelectable candidate from winning, the DNC used such rules, and made additional rules changes for the 2016 election, to give the nomination to Hillary Clinton in a process which was no more democratic than to give the nomination in the proverbial smoke-filled room. 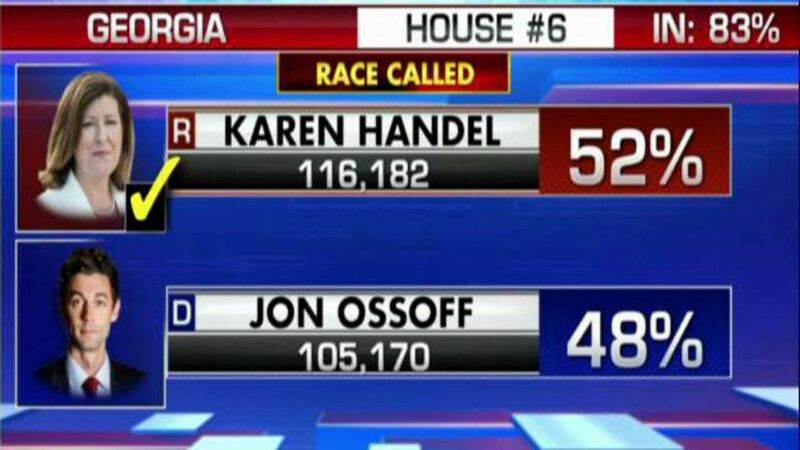 The Democrats ultimately lost an election they should have won in 2016 due to rigging the nomination for a candidate too weak to win the nomination on her own, and who was unable to beat a candidate as terrible as Donald Trump in 2016. The rigging of the Democratic nomination also alienated many potential voters, putting the party in danger of further losses. As I noted in December, the party created a “unity commission” to make recommendations to change some of the party rules which led to the catastrophe in 2016. Typically establishment Democrats call for unity, except when they are attacking the left. The Democratic National Committee (DNC) voted Saturday to acknowledge a need to reduce the influence of so-called “superdelegates” in the presidential primaries, while a decision on specific changes to the role such delegates will play in the 2020 election won’t come until this summer. The DNC said in the report adopted Saturday that its Rules and Bylaws Committee will present its final proposal to the full party later this year. The panel was given six months, starting in late December, to come up with specific actions it would take regarding superdelegates. The DNC’s Rules and Bylaws Committee had been discussing a proposal drafted by the Unity Reform Commission that was created after the 2016 primary battle. The commission had said they wanted the number of superdelegates reduced by 60 percent, but the Rules and Bylaws Committee suggested it might do even more. During the 2016 election, supporters of Sanders argued that superdelegates allowed Clinton to get early endorsements and develop an early lead before the primaries or caucuses even began. 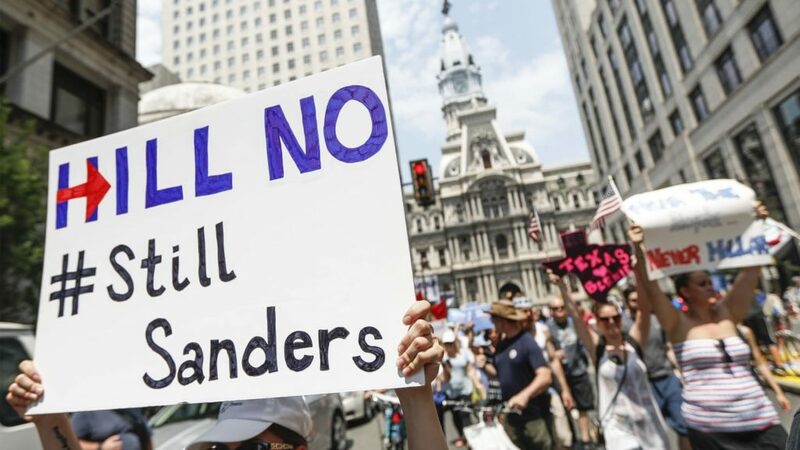 There are DNC members who want to remove superdelegates from the Democratic Convention’s first ballot altogether, allowing the candidate with the majority of pledged delegates earned through the primaries and caucuses to win the nomination. Other DNC members believe they have earned their uncommitted vote through years of participation in the party. Any proposal to change the power of superdelegates would need two-thirds support from the DNC’s 447 members to pass. Hillary Clinton’s strategy was to promote the view that her nomination was inevitable, and the party’s rules played into this. This included restricting debates so that opposing candidates would receive far less coverage and have less of an opportunity to build early momentum, along with superdelegates and front loading of southern states. While in 2008 the popular vote in Iowa was released, this was not done in 2016, harming Sanders who probably won the popular vote but did not receive a proportionate number of delegates due to having his voters more heavily concentrated in college towns. Failing to announce the popular vote can also harm candidates who might receive a significant number of votes but fail to receive delegates. These rules played into Clinton’s strategy of appearing inevitable by having the news media reporting a strong lead for Clinton in delegates after the votes in New Hampshire and Iowa, despite Sanders receiving more votes. Then there were the shenanigans by Harry Reid in Nevada, followed by favorable states for Clinton on Super Tuesday. The party also helped in other ways including changing of fund raising rules to help Clinton, voting restrictions, and giving Clinton unprecedented control over the party during the primary campaign. The recommendations of the Unity Commission do not go far enough. Besides eliminating superdelegates, if the Democrats hope to gain the trust of voters, they should also end the front-loading of primaries, end restrictions on debates, and give assurances that the types of changes made in 2016 to give Clinton the nomination will not happen again. Besides these more technical issues, the credibility of the Democratic Party was also seriously harmed by nominating a candidate as corrupt as Hillary Clinton, who repeatedly used her years in public life for personal financial gain, and whose support for unnecessary wars and military intervention has resulted in a massive number of deaths and misery. More recently the DNC has purged progressives and made lobbyists superdelegates. 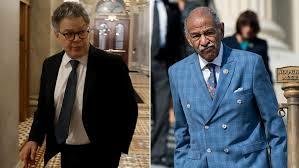 Other arms of the Democratic Party have pushed conservative policies and attacked progressive candidates despite evidence contradicting the view of the Democratic leadership that progressive candidates are less electable. Just talking about reducing the “perceived influence” of superdelegates is not enough. Let’s get rid of those have been willing to put up with the graft and corruption of Bill and Hillary Clinton. Plus there should be a special circle of Hell for anyone who uses the “but her emails” line. To excuse Hillary Clinton over the email scandal means that you 1) support her total refusal to abide by rules put in place by Barack Obama to increase government transparency, 2) are willing to ignore repeated lies from her regarding the matter for months, ultimately being a major reason she lost the presidential election to Donald Trump, and 3) you don’t care that she destroyed potential evidence of her influence peddling at the State Department. Let’s get rid of Democrats who have embraced neoconservative interventionism, including those who excuse Clinton’s views and policies on Iraq, Libya, and Syria, along with those backing the new Cold War type hysteria regarding Russia. Let’s get rid of Democrats who are now engaging in McCarthyism, accusing those who question their unfounded claims about Russia of being pro-Putin. (Never mind that they are the ones who are really acting to undermine the liberal opposition to Putin in Russia). Let’s get rid of Democrats who support a totally undemocratic nomination system for the presidency. This includes those who want to preserve measures in place since McGovern’s loss including superdelegates and front-loading of southern states. Even more so, get rid of those who backed the increased actions to rig the nomination in 2016 including restrictions on debates, changing of fund raising rules to help Clinton, voting restrictions, giving Clinton unprecedented control over the party during the primary campaign, changing how the results in Iowa were announced to help Clinton, and Harry Reid’s games in Nevada to help Clinton. Plus get rid of those backing a purge of the left in the DNC and making lobbyists superdelegates. The Democratic National Committee is reeling, facing a turnaround that’s proving a much bigger lift than anyone expected as it struggles to raise enough money to cover its basic promises. “Donors, small and large, are so over the party,” said Nebraska party chair Jane Kleeb, summing up the problem facing DNC chairman Tom Perez and his counterparts in the states. Kleeb, who is working on grass-roots fundraising efforts for the committee, said she believes the money will come eventually. …So with 2018’s midterms presenting a clear opportunity for Democrats to leap forward, the worry is that they simply may not be prepared in time. While the House and Senate Democratic campaign arms — and individual candidates — are having no problem raising funds, the comparatively anemic cash flow at the central committee and state branches could affect organizing efforts on the ground across the country. The Republican National Committee (RNC) outraised the Democratic National Committee (DNC) by more than $6 million last month, according to federal filings. Recently released numbers show the DNC raised around $4 million during the month of September, while the RNC raised about $10 million. The data also showed that the RNC has roughly $44 million in cash on hand, while the DNC has roughly $7 million. The Democrats have been failing for the past decade with their strategy of moving right to be just slightly less crazy than the Republicans. This has alienated voters on the left while failing to attract voters on the right, who will vote for the true Republican Party rather than the Republican-lite Democratic Party. Even when Bernie Sanders did show the Democrats that he could both bring in new voters and raise money the DNC chose to essentially hand the nomination to someone as unfit to be president as Hillary Clinton. This cost the Democrats both the White House and an excellent chance at winning the Senate, as many people voted for Republicans down ticket in response to the conventional wisdom that Clinton would be the next president. The Democratic Party needs to open themselves up to liberal and progressive principles and bring in new leadership. It does not help matters when they make Donna Brazile a member of the rules committee after she cheated in the 2016 primary battle by slipping debate questions to Hillary Clinton, or when Nancy Pelosi says she should remain Speaker of the House because of her gender. Update: While the party is having fund raising problems, Politico subsequently reported that some Democratic candidates are raising large amounts of money, fueled by opposition to Donald Trump. The ousters come ahead of the DNC’s first meeting, in Las Vegas, Nevada, since Perez took over as chairman with a pledge this year to unite a party that had become badly divided during the brutal Bernie Sanders-Hillary Clinton 2016 primary race. 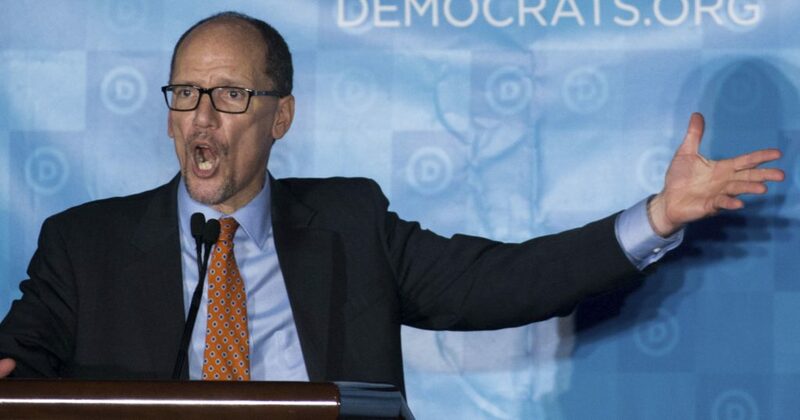 Complaints began immediately after party officials saw a list of Perez’s appointments to DNC committees and his roster of 75 “at-large” members, who are chosen by the chair. If the Democratic Party is to be taken seriously by the left it also must end the policies designed to determine their nominees, including superdelegates, front loading southern states, and making rules changes to benefit their preferred candidate–as they did in 2016 to essentially rig the nomination for Hillary Clinton. 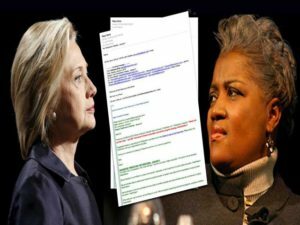 The rigging of the Democratic nomination for Hillary Clinton was also exposed in the email released by Wikileaks, with Clinton recently launching an attack with bogus charges against Wikileaks which were debunked per a post yesterday. The Democratic Party this week plans to name 75 people including lobbyists and political operatives to leadership posts that come with superdelegate votes at its next presidential convention, potentially aggravating old intraparty tensions as it struggles to confront President Donald Trump. The new members-at-large of the Democratic National Committee will vote on party rules and in 2020 will be convention delegates free to vote for a primary candidate of their choice. They include lobbyists for Venezuela’s national petroleum company and for the parent company of Fox News, according to a list obtained by Bloomberg News. At least three of the people worked for either Hillary Clinton or Bernie Sanders in 2016 while also casting ballots as superdelegates. This is exactly the wrong thing to do to give the left any confidence that the party will have a fair nominating process in the future. It also provides further evidence for the criticism that the Democratic Party is indebted to corporate money and is unlikely to behave all that differently from the Republicans. Much of this is probably motivated by the desire of party insiders to maintain the status quo and their own power. This is also probably also partially motivated by misguided ideas as to how to compete with the Republicans, despite having repeatedly lost elections over the past decade by turning into a Republican-lite party and refusing to stand up for principle. Of course the Republicans also remain open to charges of hypocrisy and political cowardice as many of them remain silent about the actions of Donald Trump. Matt Bai discussed how Republicans remain silent while “Donald Trump’s presidency imperils the future of his party” in a column today which is also critical of the Democrats. Voters for neither party are really served by the leadership and insiders in their party who are more concerned with keeping their jobs than serving the voters. …it’s clear that large numbers of white, working-class voters shifted from the Democrats to Mr. Trump. Over all, almost one in four of President Obama’s 2012 white working-class supporters defected from the Democrats in 2016, either supporting Mr. Trump or voting for a third-party candidate. Were they mostly supporters of Bernie Sanders? Unlikely: He was popular among the young, but 67 percent of the 2016 drop-off voters were over age 45, and 35 percent were over age 65. Just 5 percent voted in the Democratic primary in 2016, and 7 percent voted in the Republican primary. This data is consistent with previous reports on the election, including those I discussed here and here. This includes how Clinton ignored states such as Pennsylvania, Michigan, and Wisconsin until virtually the end of the campaign. When she did campaign, she generally ignored the issues and failed to give reasons to vote for her other than her gender and it supposedly being her turn. Working class voters probably didn’t care about the letter from James Comey. They were more likely to be convinced by Donald Trump promising a stronger economy, even if they were promises he will never keep, as opposed to the negative campaigning from Clinton. Hopefully this will lead to a real house cleaning. The efforts by the DNC to rig the nomination for Hillary Clinton was inexcusable. Even beyond the undemocratic nature of such actions, a candidate as unfit a Hillary Clinton should have never been considered for a major party nomination. If the party is to recover, those who thought that the nomination of Clinton was a an acceptable idea need to be replaced.